Various breeds of snakes live in Tennessee including the cotton mouth, the copper head, black snakes and other seemingly harmless garden snakes. While some of them are highly venomous, others are just around to keep the rats and other rodents out of your crawlspace. They do serve a good purpose, however, they make our skin crawl upon first glance and some can be deadly if provoked! Moreover, there are horror stories out there of when snakes have entered a home through a crawlspace and made their way into the interior of the home through vents or through the walls of the home itself. Nothing is more terrifying than waking up to or coming home to a snake in your home! Ensuring that your crawlspace has been waterproofed by a professional waterproofing company will help deter snakes from taking up residence with your family in your crawlspace. Termites are destructive little guys and gals. If left alone, they can cause some significant damage to a home. Termites feed on wood, you probably already knew that. However, did you know that termites build their own mounds beneath homes that consist of mud, digested wood, feces, and saliva! No doubt, termites love a wet crawlspace! In fact, one large mound can host over 3 MILLION termites! Yikes! Female termites can live between 15-25 years and they lay an egg every 15 seconds! Rapid reproduction is a major reason why termites tend to get out of control if left unnoticed under a home in your crawlspace. We recommend that you have your crawlspace inspected by a professional annually and that you have your crawlspace waterproofed to help deter these destructive creatures from moving in. 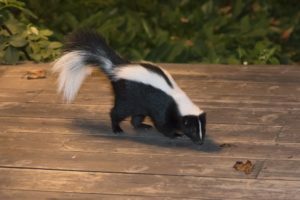 When you think of skunks, you probably think of the terrible smell that they are famous for. Skunks are omnivores and eat both plants and animals. Moreover, skunks love to chow down on worms, reptiles, and rodents. One thing that all of those critters have in common is that they love a wet, dark environment like a crawlspace. If your crawlspace is usually wet and unkept, skunks may decide to make themselves at home beneath your house. 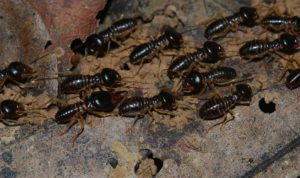 Give Stay Dry Waterproofing in Cleveland, TN a call today to learn about our full service basement and crawlspace waterproofing options, and keep these critters out!